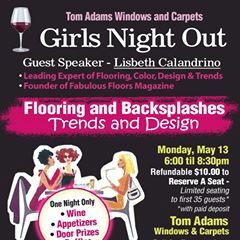 I was fortunate to speak with Robert Barufkin, Sales Manager at Tom Adams Window & Carpet after his Ladies’ Night Out a couple of weeks ago. I have spoken at many events but found this one to be very well organized and consumer friendly. Before joining Tom Adams Window and Carpet, Robert was owner of a large Philadelphia Area Mannington Distributor. I found him quite knowledgeable and understanding of today’s target customer. Here is an excerpt from our conversation. Robert, how would you describe today’s consumers? The dynamics of the consumers have changed dramatically from the days of the 70’s and 80’s. A well place ad in the local paper or the TV station would get the customer’s attention and plenty of business. The consumer had to shop many stores to be educated, and the local carpet store was the place to go. The salesperson knew about your community in which their store supported the little leagues, church and schools. Today you must be knowledgeable, truthful and show professionalism. In addition, your business must be social media smart if you are going to attract and connect with today’s customer. You must provide “added value” and be different from your competitors, if you’re not, then price becomes the deciding factor. Most consumers educate themselves on the Internet and believe what they read. We must help them separate ‘fact from fiction’ without insulting them. If they see it on the Internet, as the commercial says, “it must be true. Today’s consumers are conscious about getting the right product for their particular project. It’s important to educate consumers, but it’s also important to help the customer decide. A good salesperson earns the consumer’s respect and trust, so the customer will rely on them to help make their decision. Do women still do most of the buying or how they influence the selling process? Our business is based on women; they are the decision makers of today. They make decisions on most home furnishings,’ and they understand fashion. Women are willing to spend money for fashionable items; most women understand why a shoe cost $200 a pair. Women no longer need the permission of their significant others to spend the money in the family account. In fact, it is now the husband who asks permission. Angie’s list members are primarily women and targeted by Angie on purpose. They want good advice and referrals, and the purchase of an Angie’s membership provides that for them. How have you designed your showroom to accommodate today’s fashion conscious female consumer? We base our showroom on style and fashion, not on prices. We have vignettes and many larger samples to help women visualize what their selection will look like. We offer free services such as scaled drawings of their room with full seam layouts and asbestos testing for old vinyl flooring. We lend out samples, and we pick them up if needed. To add even more value to the sale, we partner with a certified plumbing company to do all toilet removals, repair ice maker issues and gas shut offs. The key is to become a friend and always strive to “be easy to do business with”, so that each new friend will send a referral. Now comes the tough part, how to you attract more women to you store. We try to do a “Girls Night Out” every quarter, based on the season and the special guest speaker. Our attendance varies. We invite associate retailers in the furniture, restaurant, kitchen, fitness, and yoga and clothing industry. We have vineyards that promote their wine, restaurants that serve appetizers and “goodie” bags for the participants. What works to bring in customers? Bringing in a professional speaker who knows their product and can connect with the audience is the key. We have also hosted autograph events where we bring in “Philadelphia Sports Legends,” where we have lines of people waiting to meet their heroes. The key is to give our customers a positive experience and make them want to come back. We’ve had installation clinics to help customers understand the complexities of the installation process. All of these ideas work on some level. The success and failure depend upon your ability to get the word out. It takes social media, phone calls, local signage and excellent word of mouth. We support causes that are important to our customers with breast cancer awareness bring tops on the list. We have a “Pink Party “party in October to support this cause. We give out pink wristbands and a portion of the sale to Breast Cancer Awareness. Lisbeth Calandrino is associate publisher and social media Manager for Fabulous Floors Magazine. She also helps businesses build loyal relationships through customer service and sales training workshops. For speaking or training she can be reached at www.lisbethcalandrino.com. Everyday there’s something new in social media, but not every day does Houzz come along. Houzz is an online community about decorating, landscape design architecture and home improvement. If you’re in the flooring industry, could there be anything better? Houzz was founded in 2009 by Adi Tatarko and Alon Cohen as a result of their remodeling experience. Instead of cutting pages out of magazines for their project, they decided to create an online data bases. In December 2010 they released a mobile app for iPad which was downloaded over five-million times. How can you use it? I asked Teresa Henton Account Executive at h2b Creative in Chattanooga, Tennessee to create a blog post. Thanks Teresa..
Houzz can be thought of as an idea generator; the app’s search feature links professionals, products and users. Thousands of Houzz members are on the site because they are planning a renovation and are looking for inspiration. Registered professionals post their project photos complete with product information, architectural style and design features for free. Users filter the images by room or style to pick their favorites, and add them to idea books. Everyone can engage in discussions, ask questions, and get product information and tips. Whether 2013 finds viewers buying a home, remodeling an existing space or just seeking a little curb appeal; their go-to-guide is Houzz. To help members search for the ideal design, professionals have shared one million images from their portfolios. Each has a back-story or explanation, and some cross reference to other pictures for a specific project or designer. Houzz users can sign up either as a homeowner, renter, or a home improvement professional or vendor. After signing up, users are offered a choice between getting inspired, seeing products, or finding professionals in their area. Houzz allows professionals to successfully market to and communicate with potential clients. It is the largest database for residential design and decorating ideas. 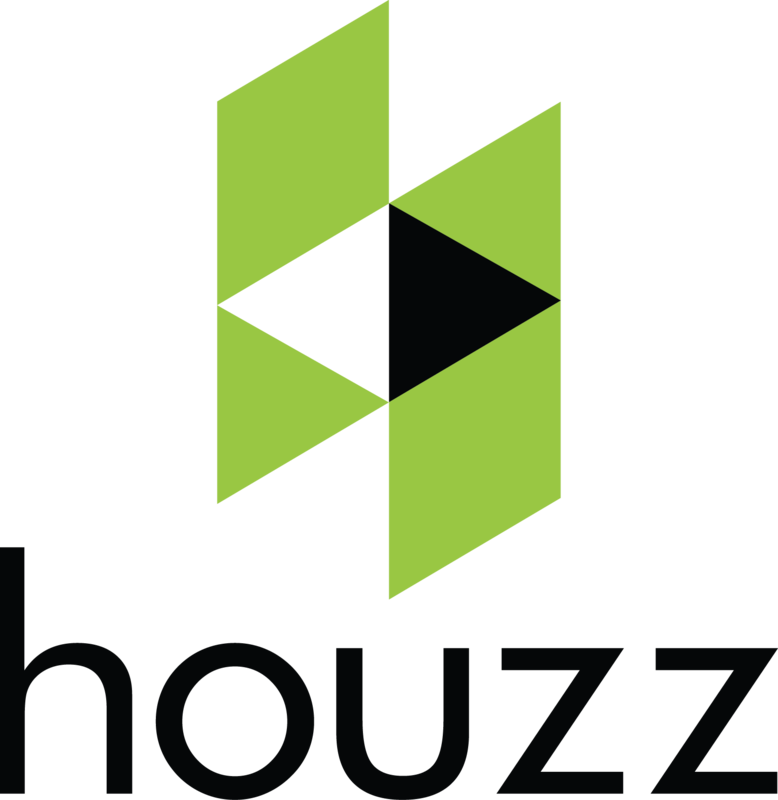 Houzz is a collaborative platform for home remodeling and design, bringing homeowners and home professionals together in a uniquely visual community. It’s a social site that’s growing and growing fast, 226,965 unique visitors per day! 90,000 professionals showcase their portfolios and share their work with a community dedicated to home and landscape design. Can you afford not to be found on it? Houzz members collect favorite photos, find design professionals in their area and talk with other members. It could be you that they are talking about! It’s Free! It’s something that you just can’t pass up! Lisbeth Calandrino is Director of Social Media and Associate Publisher of Fabulous Floors Magazine. She can be reached for speaking or training at www.Lisbethcalandrino.com.